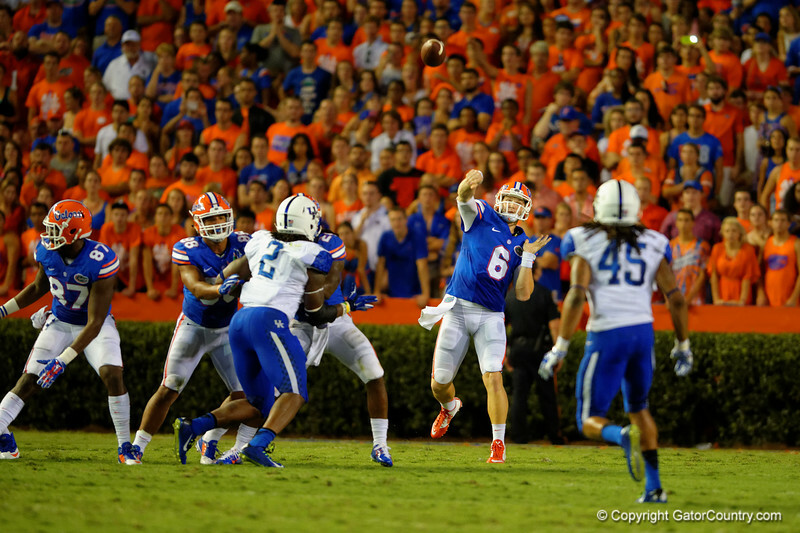 Florida Gators quarterback Jeff Driskel throws a deep ball during the first half against the Kentucky Wildcats. Florida Gators vs Kentucky Wildcats. September 13th, 2014. Gator Country photo by David Bowie.